Pinnacle Cranes is a crane service company offering crane solutions to all construction and construction-related industries. Everything from New Crane Sales, Used Cranes, Crane Rental, Crane Parts, and Crane Service; Pinnacle Cranes is your one-stop shop. 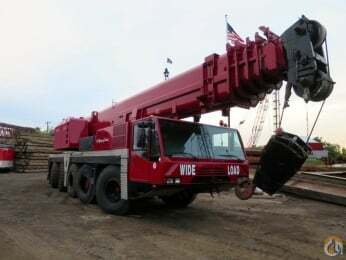 Our staff consists of highly experienced crane technicians, knowledgeable representatives, and expert product support professionals who all specialize in providing the best crane products and services to meet our customer's needs. In addition, our large new/used crane inventory and crane rental fleet ensures timely delivery of the perfect crane to help get the job done. 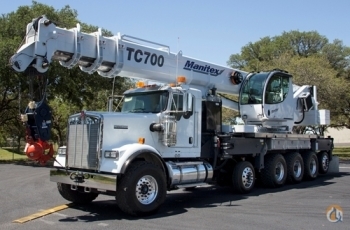 Pinnacle Cranes is the authorized dealer in North and South Carolina for Link-Belt Cranes; Manitex Cranes; Elliott Boom Trucks and Hi-Reach Trucks; and Shuttlelift Industrial Carry Deck Cranes. We have also been named one of Link-Belt’s Top Five Crane Dealers. Contact us today to discuss how we can meet your crane needs.